Looking to climb out of that waste-of-time-sales-meeting rut and grab everyone’s attention with your highly productive and engaging meetings? It is no secret that the weekly sales meeting has plummeted to the bottom of the priority list for many salespeople. In many offices, it has become a routine exchange of housekeeping issues that could have been shared over email instead. Don’t get me wrong, you need to go over housekeeping issues from time to time, but taking an entire sales staff off the streets is a costly way to cover these items on a regular basis. Take a minute and do the math. How much does a one-hour sales meeting really cost you? That number will probably frighten you into ratcheting up the quality of your weekly get-together, so let’s get started. 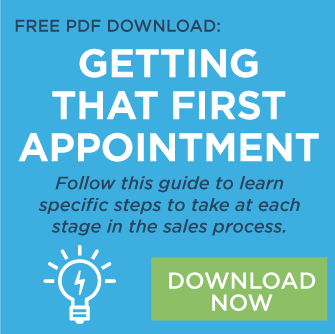 Before running a sales training meeting, you will need to spend time in the field with your salespeople and determine their greatest training needs. Once you have pin-pointed the specific skill you want to focus on developing you will be able to dedicate an entire sales meeting to the training. For example, if you determine that your sellers are having a difficult time with negotiations, you could design a sales meeting focused on negotiating and the best practices of good negotiators. Not only will this serve as a good use of time, but it could also help to drive revenue right away. The secret to doing this right is to create a non-threatening environment in which people can have success. That means no surprises - let everyone know in advance that it’s coming. Also, it’s smart to focus on real-life situations as often as possible. You might deal with how to respond when someone asks you about your product or you could role-play an upcoming presentation. Other effective topics include handling common objections and role-playing questions that you could ask on your next appointment. Don’t hesitate to make this a regular part of your weekly sale meetings. The opportunities here are endless. You could invite a current client or even a prospect to share the various issues and opportunities that exist within their category. This meeting does take time to prepare, but it is worth the time spent. I would recommend that you use a guest speaker for at least one sales meeting a month. Every salesperson wants a stock of success stories they can use to sell, but very few are willing to take the time to write down their own stories for the benefit of others. Solve that universal problem by dedicating a weekly sales meeting to the success story. Announce this writing workshop and ask every seller to come prepared to write one success story. You might give them a few examples to get their creative juices flowing. Have fun with it during the meeting by giving everyone an opportunity to share what they are writing. Not only will the group leave with a solid bank of success stories, but they will have also shared the details of what they did right and what they learned which reinforces successful behavior. Salespeople are business people and business people know what is going on in the world. I suggest regularly leading a sales meeting that is devoted to discussing the 5 biggest news stories of the week. Clearly communicate this plan with your sellers and ask them to come to the meeting with thoughts and opinions on the chosen business topics. 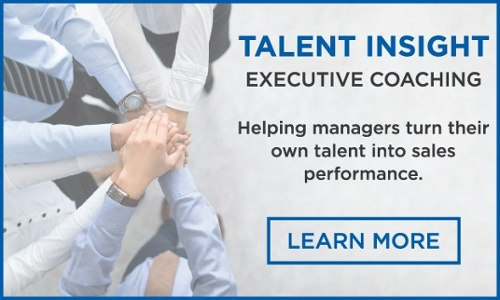 Your role is easy – facilitate the round table discussion and keep everyone on topic. Imagine how much more interesting your salespeople will be during future sales calls when they are able to talk about more than just buying the product they are pitching. These five sales meeting topics should fill up your meeting schedule for a while, but don’t make the mistake of waiting until the last minute to plan them. Eliminate the mad morning scramble on meeting day by establishing a calendar to follow and planning out your sales meeting topics 2 to 3 months in advance. Your salespeople will thank you, you will feel a jump in the level of engagement in the office, and you will find that you are able to grow business by growing people. Editor's Note: This post was originally published on May 29, 2017, and has been updated.